This New Memory Support System offers the tools needed for those with Alzheimer’s to remain at home longer. Recently introduced to this new product, I am very excited. Most of you know I cared for my Mom at home before she passed away 7 years ago with Alzheimer’s. For several years, my Mom was still physically healthy but appeared lost most of the day. I couldn’t keep her occupied. She could read and watch Television, yet she could not occupy her time alone, without assistance. When I heard about this new product I thought of Mom and how this would have helped her remain active longer. She enjoyed having activities, she just couldn’t think of things to keep herself busy. In the early stages, this would have been perfect for my Mom. We know now that as the person with Alzheimer’s stays more active, symptoms of dementia are postponed. I’m so glad I can share this Memory System with you. Aging in place is an important option for many of us. It allows us to remain independent, safe, and comfortable – all while enjoying the familiar environment of our own homes. However, whether we are alone or have family around us, we can at times start to need some additional support remembering those important activities in our lives. Products that can support our continued stay in our own homes are not only valuable to our daily quality of life, but a relatively inexpensive option to the various assisted living environments. KalendarKards is a system that fits the bill and could be the perfect gift that will get used every day. The KalendarKards Memory Support System was developed to assist a family member who was having trouble remembering important tasks around her home. Over the course of a year, and through a number of prototypes and revisions, with direct input from that family member, KalendarKards was born. It is based on a nearly 200-card deck of regulation (but highly customized) playing cards. That medium was chosen for its familiar tactile feel, and for ease of handling. Once the product was fully refined, she became quite comfortable and enjoyed using the system. She contacted a friend and explained that she was very pleased with it and was using it daily. Cards are provided in a number of color-coded categories ranging from Health (blue) to Important (red.) To customize the individual’s experience further, a generous supply of blank cards and a permanent marker are included. Simple, single, discreet cues are critical. KalendarKards organizes the week, but only one task at a time is shown – and only the next one up. Each card allows a simple “Play Your Day” peace of mind. Early in the development, the KalendarKards founders recognized the irony of creating a memory support system for those who might not remember to check their memory support system. In addition to the KalendarKards Stadium design intended to be on display and make the cards visible throughout the day, they have incorporated a clever way of providing a subtle, yet persistent reminder. A very familiar silicone wrist band is provided as a wearable reminder that says “Check Your KalendarKards.” By wearing it on the user’s wrist at all times, it gently reminds them to stay aware of their next KalendarKard event. More products are planned that will surround your loved one with gentle reminders. KalendarKards is intended to work in conjunction with a caregiver to assist in building the seven daily decks for weekly support. They are built based on the user’s (fondly called “Karder’s”) routine day. When the decks are placed in the Stadium, they show the entire week at a glance – but with only the next task or event details visible. Throughout the day, the Karder simply takes the next card, acts on it, and moves it to the slot to the right – the “disca rd” slot. 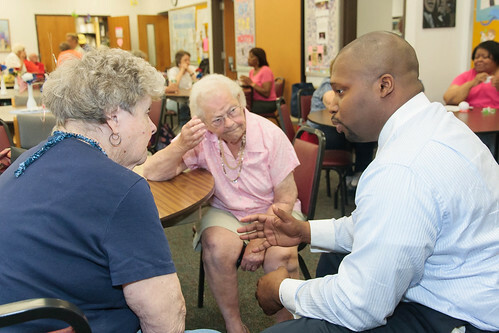 One at a time throughout the day, and throughout the week, they “play their day.” This addresses the need for memory challenged individuals to have only one area of focus at a time. At the end of the week, the caregiver resets the decks and makes any adjustments for the coming week. This provides a proactive structure for the caregiver to assist the Karder, rather than trying to react to a day where it’s not quite clear what comes next. The KalendarKards founders get rewarding feedback frequently on how KalendarKards Memory Support System is supporting Karders in their everyday activities. But it is the feedback from someone who actually doesn’t need it (yet) that is their favorite. A gentleman who is an early user shared with them he has some early memory challenges. Since he and his wife live together and he receives all the support he needs on a daily basis, both he and she agree he doesn’t “really” need it. They also agree though, it’s a great tool to help him stay on track throughout the day. That is a very powerful testimonial. To see photos and read more about what’s included in the KalendarKards Memory Support System, please visit their web site at: www.KalendarKards.com. Holiday Shopping Special For Free-Alzheimers-Support Readers! From now through the end of 2015, use the Discount Code 2015FAS at checkout to earn a 15% discount on all items purchased. This includes the KalendarKards Memory Support System, extra Activity Journals, markers, and the fun “Check Your KalendarKards” wrist bands. Author: David Wiederrich is the CEO and Co-Founder of KalendarKards LLC. He is a retired executive with past experience in corporate communications, sales, marketing, operations, and IT. Mr. Wiederrich is also the founder of Click. Buy. Help. (www.ClickBuyHelp.org) which helps schools and non-profits earn donations when their supporters shop online. You can connect with him on LinkedIn at www.LinkedIn.com/DavidWiederrich. 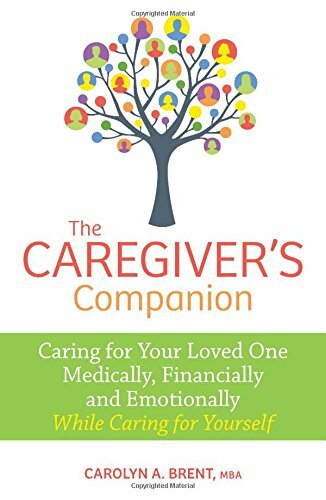 Caregiving is a tough job and this list is only a few of the Best Gifts for the Caregivers we appreciate most. No matter how much we love someone, being their caregiver full-time is not easy work. I know because I was Caregiver for my mother with Alzheimer’s . And, now, I have COPD and my husband is Caregiver for me. Since I’m on Oxygen 24/7, there are many things I can no longer do for myself. And believe me, I’m not always an easy patient. 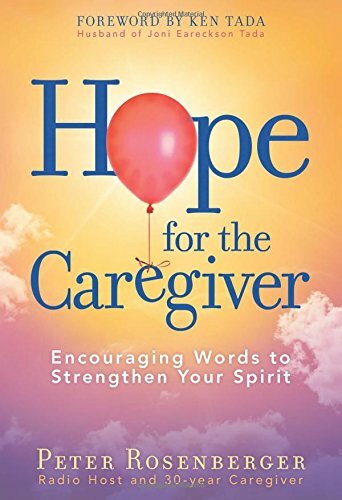 Sometimes the caregiver gets lost in the shuffle of caring for the person who is ill. We can too often forget how hard the Caregiver works to make our loved one comfortable and happy. So this holiday season remember the caregiver in your life, whether they care for you or someone you love. Everyone knows a Caregiver that makes life easier for someone else. If you are looking for a simple “Thank You gift” for the Caregiver in your life. You may be looking for something as simple as a Gift Card or Gift Basket. Gift Cards are a super idea, especially if you know the Caregiver well enough to choose a card they will appreciate. Many gift cards aren’t specific and they can buy what they like. But some require they purchase the item from the vendor of the card. Here are a few cards available among many gift cards in Amazon’s inventory. They have a wide variety of Gift Cards for the Most Popular Shops and stores online and off. I’ve created a trend in our family; the grandkids “hint” ahead of time to let me know which gift-card they want for their next birthday or other holiday. I don’t complain, it makes shopping easier for me and they get to choose what they really want! Gift Card from their favorite Boutique, Coffee Shop, Movie Theater, etc. Amazon has Gift Cards Galore! They’ve only recently understood the salving calm that comes from Coloring, whether child or adult it is relaxing for all! 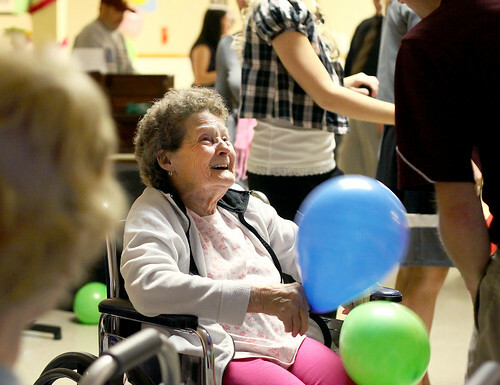 In Mom’s later stages of Alzheimer’s she lived with us until moving into a Group Home. Grandchildren were always around, so Mom became quite addicted to coloring. Unlike today, Adult Coloring books were not a common item in our home back then. I didn’t consider a Coloring Book a Unique Gift Idea for Mom. If the Adult coloring books of today existed 7 years ago, Mom would have been overwhelmed with joy and frankly, so would I. In the beginning, I sat at the table and colored with Mom as a way to share time with her. But I have to say, “coloring” draws-you-in and becomes a captivating hobby. It wasn’t long before I enjoyed coloring as much as Mom did. It is relaxing to release stress and enjoy the moment. I did prefer the adult coloring books though. Mom loved coloring and told everyone she met that she had painted great artistic masterpieces for our home and hers. Mom’s home had been gone for several years since she could no longer live alone. The only master pieces I could remember were the pretty pages she colored in her coloring book, but I would never correct her. Coloring for Mom had become a work of Pride and Joy. Her first work was pages from my grandchildren’s coloring books. When I finally realized how much Mom loved coloring, I suggested a trip to buy a few books of her own. A friend had told me about the new Adult Coloring Books Mom accepted the offer with a giggle of excitement like an artist with a new canvas. Being a religious woman, Mom chose a children’s coloring book of “Bible Stories.” Despite my urging to buy several of the new Adult Coloring books, Mom only wanted the children’s Bible Story Coloring Book. A thick coloring book that told a Bible Story on each page with large picture and descriptive paragraph at the bottom. Mom recognized each picture without note of the description below. She remembered bible stories from younger years and recited scripture for each picture in the coloring book without reading the text. Whether planned or not, this had been the perfect gift for Mom. Though inexpensive, it was the most unique and pleasurable gift Mom received in her later years with Alzheimer’s. Our second purchase that day was a BIG box of Crayons with a sharpener. No visitor entered our home without seeing Mom’s new coloring book, crayons and the sharpener on the back of the box. Seeing all the pretty Adult Coloring Books of today makes me sad that Mom will never see them. I wish I had known about those all those years ago. Still, she loved the book she chose. Now, Mom’s Bible Story coloring book Mom is a constant memory of the pleasure she had during her final weeks. I remember how much she loved it, how often she shared every story. She was so proud of that book that she asked that it be passed down to her grandchildren as an heirloom from her. Her words make me smile to this day as I think of that Coloring Book stashed away in my closet. It will become an heirloom some day–but not yet. Haven Owls Adult Coloring Book ……….